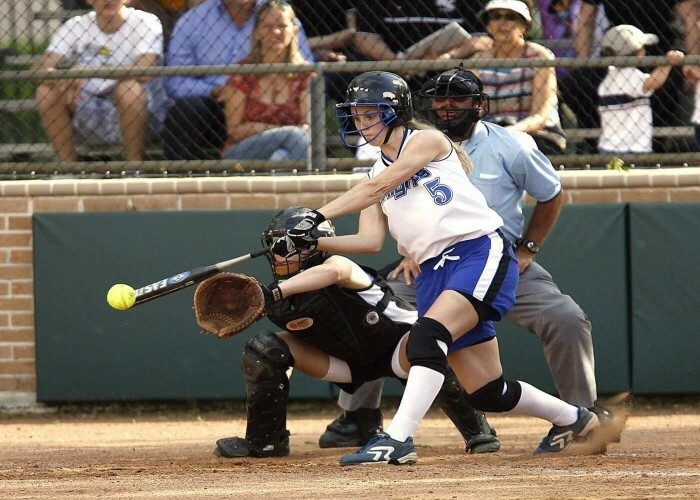 Softball is a similar game to baseball played with a larger ball on a smaller field. In this sport, two teams of nine players take turns to bat and field as they try to score the most runs round four bases laid out on a field of play. The team with more runs than the opponent at the end of the seventh inning wins the game. The sport was originated in Chicago, Illinois, United States on the Thanksgiving Day in 1887 as an indoor game. George Hancock presented the first rulebook in 1889. In 1895, the game was moved outside by Lewis Rober Sr. in a vacant lot outside of the Minneapolis as an exercise for firefighters. At that time it was known as “kitten ball,” then changed to “diamond ball”. The other names this sport was given are “mush ball” and “pumpkin ball”. The sport got its name “softball” in 1926 because the ball used in the game is a softball. The first world championships of the game took place in 1965 for women and one year later for men. Softball (for women only) was also a part of Olympics from 1996 to 2008 but removed later. It will be a part of 2020 Olympics along with baseball. Two teams of nine players each compete against each other. The players are referred by their playing positions on the field. The defensive positions are pitcher, catcher, first baseman, second baseman, third baseman, shortstop, left fielder, center fielder and right fielder. The Softball field is divided into the fair and foul territory. The fair territory consists of the infield and outfield and the area beyond the outfield fence is the foul territory. 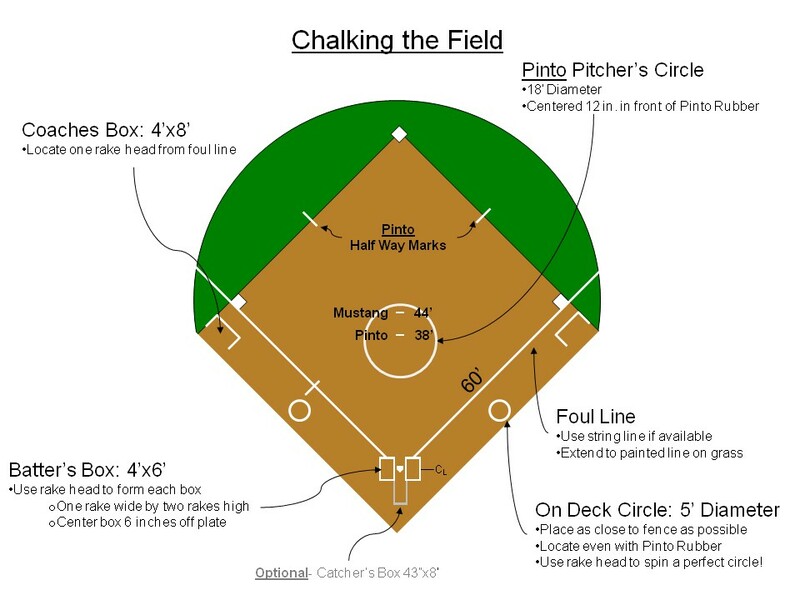 The infield is a diamond shaped area (with 60 feet long baselines) consisting of first, second and third bases, the home plate and the pitcher’s mound. The pitcher’s mound is a flat circle with 8 feet radius and is the place from where the pitcher throws the ball to the batter and is in the middle of the infield. The home plate is a 5-sided slab of rubber and the other three bases are in a counterclockwise order from the home plate and are called first base, second base and the third base. There is a one batter’s box on each side of the home plate. The right-handed batter stands in the left-side batter’s box and vice-versa. 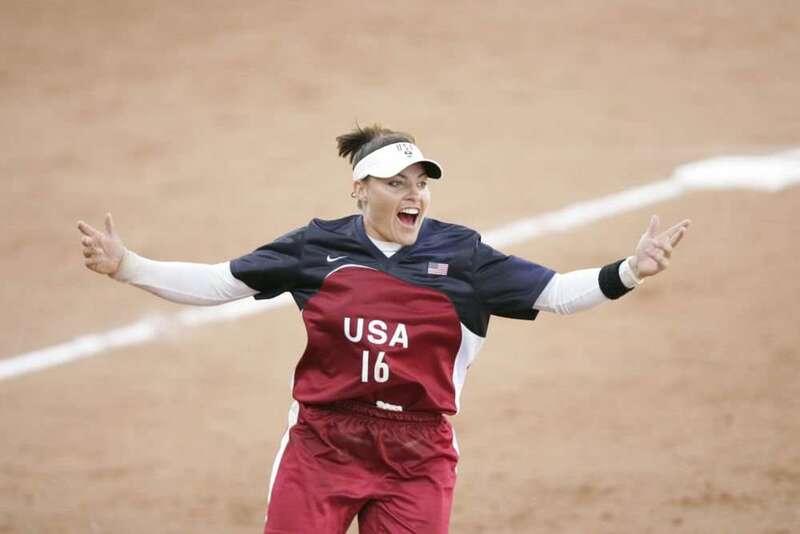 She is a softball pitcher who as a part of the Team USA is a three-time Olympic champion in the years 1996, 2000 and 2004. 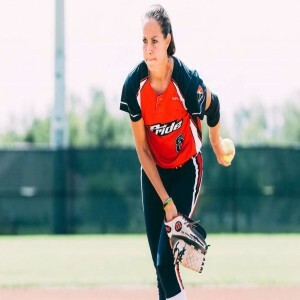 She is a softball pitcher who established an Olympic record of 21 strikeouts in a game, was a member of the US Women’s team as a part of which she won three gold medals at the Olympics. She is a softball pitcher and first baseman who is described as the most famous softball player in the history by the Time magazine. She is a softball pitcher who is the Big 12 wins, strikeouts, ERA, shotouts and no-hitters leader and the 2004 gold medal winner at the Olympics as a part of the USA Women’s softball team.